I’m sure you have all met Kayla during your time at Dynasty Gym. 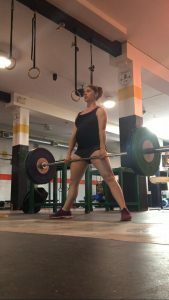 She is a phenomenal weightlifter, an incredible coach and soon to be the mother of the next big Canadian Weightlifter. So, we asked the question; what can you expect to lift when you are, well, expecting? 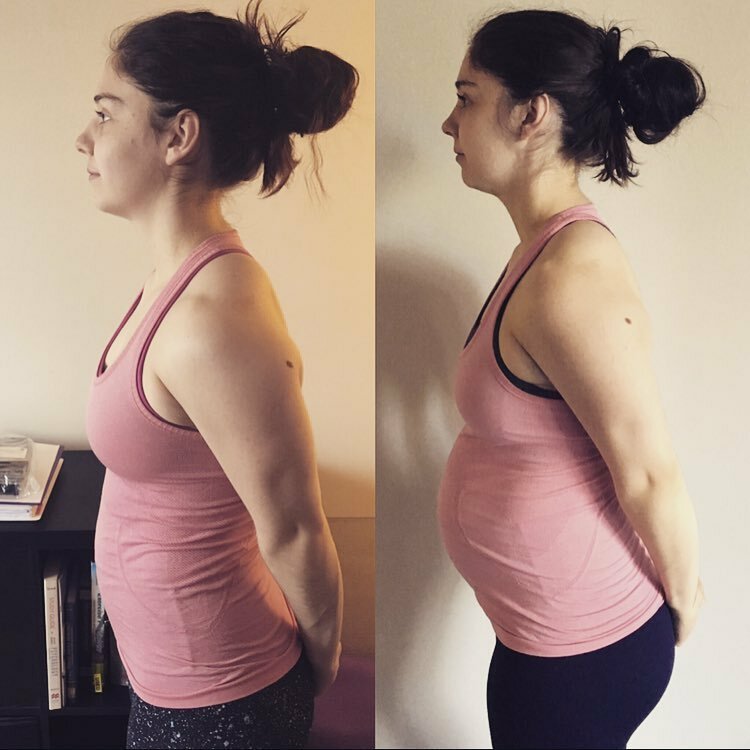 Fitness gurus and activity junkies everywhere talk about how great it is for women to stay active during pregnancy. There has been a lot of research on recreational exercisers and moderately active women. From these studies there has been some progress made in regards to what is deemed “acceptable” exercise for pregnant women. Now, these women are encouraged by doctors and midwives to exercise! Horay! Finally! But what about elite athletes? 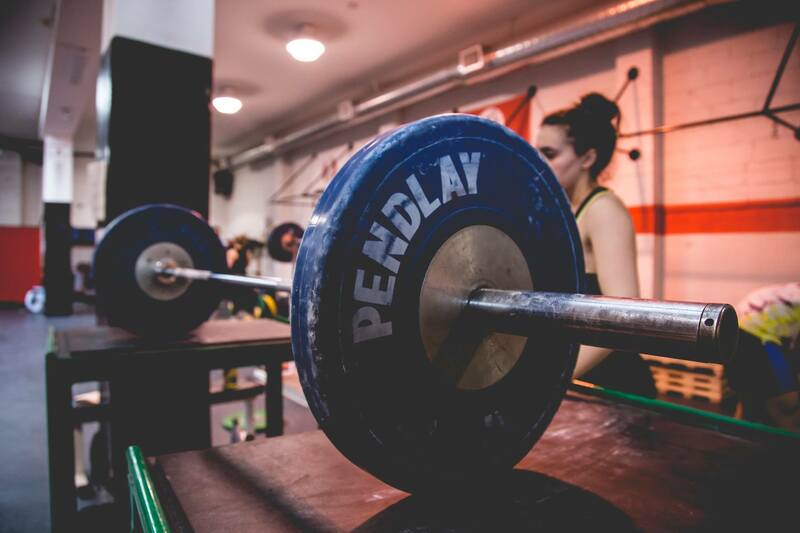 We know what the average everyday gym goer is told, but what about competitive weightlifters? What do we do? Do we drop everything and start going on walks? Do we keep lifting? Do we become yoga lovers? The informational available for pregnant women who are high level athletes is limited at best. This is likely for a few reasons. First of all, it’s very difficult to study. Secondly, only in very recent history has it become socially acceptable for women to be elite athletes, therefore there has simply not been many subjects to study resulting in minimal available data. Thirdly, there are so many things to consider, you have to consider your mental state regarding the pregnancy, how involved in sport you plan to be after having your baby, how your pregnancy is going and many other things. So here is Kayla’s insight. This information is specific to HER situation and should NOT be taken as a prescription for what you should do. Every woman is different and every pregnancy is different. We only hope to open up more conversations about pregnant athletes, share the experience with others and make others in the community feel like they are not alone in trying to find what is best for both the baby and themselves. It should also be noted that Kayla is a 23-year-old national-level weightlifter. 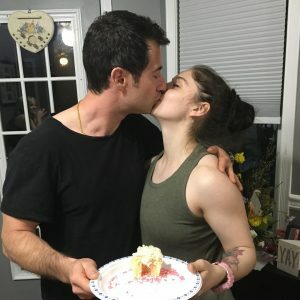 She also plans to get back to competing after she has my baby, and she has had a very routine, low-risk pregnancy so far. So here is Kayla’s journey. While exercise is safe and recommended throughout pregnancy, there are certain things that most professionals feel you should avoid. This list below is simply what she chose to avoid throughout pregnancy, the list is not all-inclusive, nor does it apply to every pregnant woman’s situation. 1) The Valsalva Maneuver: The act of maximizing intra-abdominal pressure and then forcefully exhaling without releasing any of the built-up pressure has been deemed unsafe during pregnancy as it decreases blood the oxygen available. Not being able to brace with this level of intensity will automatically decrease the weight you are able to move. 2) Exercises Lying on your Back: After the first trimester, most women choose to avoid exercise that involve lying flat on their back. For many, it will be easy to avoid because it will be extremely uncomfortable because your ever expanding abdomen will crush your soul and you won’t be able to breathe. It is thought that lying flat on your back as the size of the abdomen decreases can but pressure on the inferior vena cava and descending aorta resulting in a lack of blood flow to mom and baby. 3) Trunk Flexion Exercises: Abdominal exercises that involve flexing the trunk can increase the severity of diastasis recti. Emphasis should be placed on anti-rotation exercise, and exercises of the transverse abdominis. Moderate anti-flexion exercises such as inclined planks or push-ups are okay. In most cases, rotation exercises should also be avoided. I highly recommend visiting a physiotherapist that specializes in this area if you are concerned about this. 4) Overheating: Stay cool! Drink lots of water and dress appropriately. Overheating especially during the first trimester has been linked with pregnancy complications. 5) HIIT: Anything that causes your heart rate to elevate to near max and then slow down and then do it all over again seemed to me like something that should be avoided – so I’ve avoided it. Pregnancy is a whole different sport on its own! You can use your experience as an athlete to make this situation as comfortable and pleasant as possible. On top of that, your prize at the end is a tiny adorable human, instead of a round piece of metal (tiny human > round piece of metal in my opinion). Have fun with it and embrace your changing abilities and situation. Most importantly, ask for help! Reach out to support groups, other moms, other athletes, and professionals! Everyone will be supportive and everyone wants you and your baby to be happy.